You’re Never Too Old For Gold! 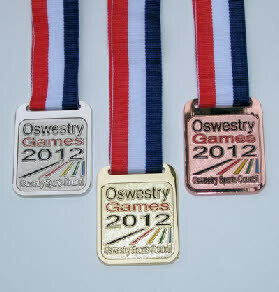 The Oswestry Games medals have been especially designed and struck for the Oslympics and will be given, free of charge, to clubs who put on events during the Games. They will be available in Gold, Silver and bronze with woven three colour ribbons. We are very proud to say the Gold medals will be plated 18 carat Gold! The medals will be arriving here early in June. Event organisers will also be able to use the medal podium to make their presentation ceremonies just a little more special. 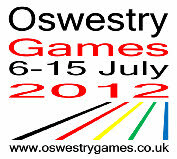 Why not go for Gold at the Oswestry Games! The suppliers of the medals, Winning Ways, are bringing an engraving machine to the closing day of the Oswestry Games, held at the Leisure Centre on the 15th July. Make sure you bring your medal with you to the closing day and get it engraved with your name and event.